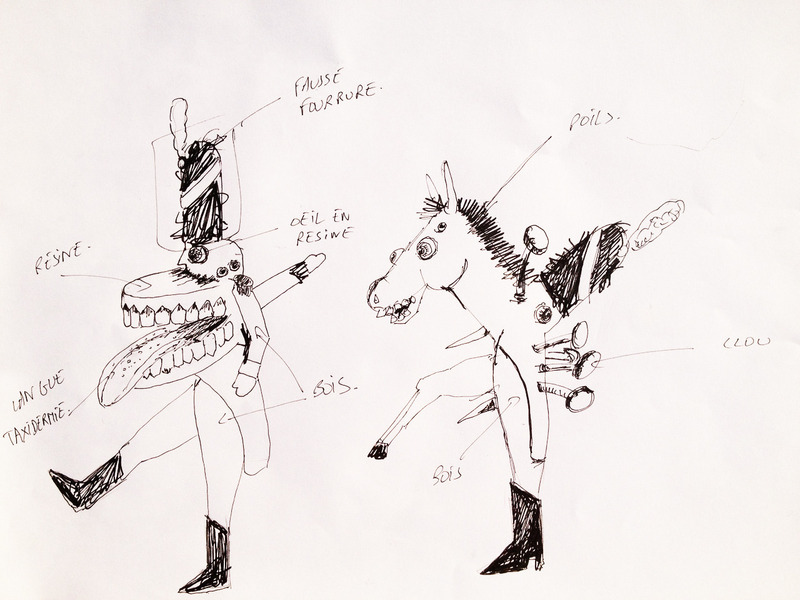 1812-2012 est un projet d'installation présentant la version grotesque, carnavalesque et absurde de la Grande Armée lors de la retraite de Russie. 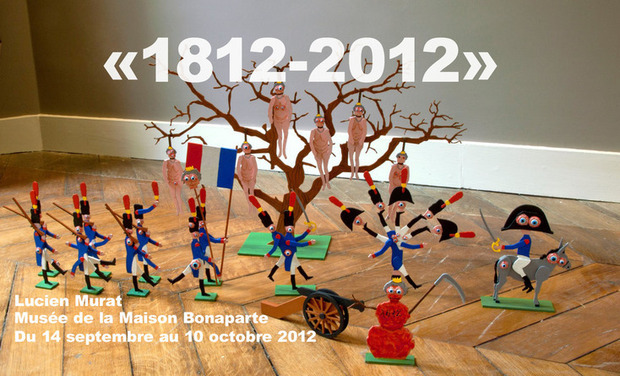 ♘1812-2012 is an exhibition made by the french artist Lucien Murat, in partnership with museum of the Maison Bonaparte in Ajaccio, Corsica. Displaying an installation in the entire space of the great balrom, he revisits the Russian Retreat from September the 14th to October the 10th 2012 in colaboration with the curator Madeleine Filippi. ♘Passionate about History, and especially about his family history, this decendant of Joachim Murat, likes to reinterpret historic facts in an absurd and grotesque way. 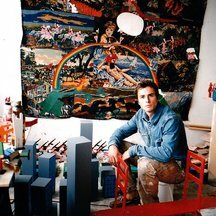 ♘ Through an intsallation made out of wooden and resin soldiers with grotesque features, this young artist offers a canivalesque vision of the Russian Retreat. ✄ example of an installation made with wooden soldiers. ❝It snowed. Someone was defeated by his conquering. For the first time, the eagle lowered its head. Letting Moscow in smoke burn behind him. Is it my punishment, he says, God of armies? ♘ The cohort of soldiers displayed in the great balrom echoes the satiric but also epic vision of Hugo. 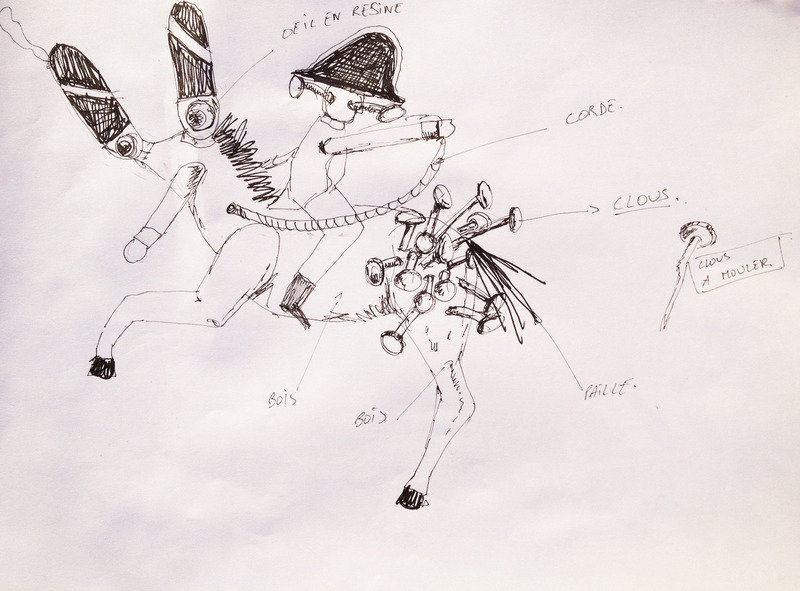 ♘ The bodies of grenadiers, hussards, cuirassiers or even horses are mingled and mixed together, given birth to unique, monstruous ill conceived and grotesque soldiers. These soldiers, this creatures recall the grotesques figures by Jacques Callot in the 17th century and especially the serie of The Great Miseries of War that highlights the absurdities and quirks of war. ♘ The soldiers are transformed into creatures through the use of taxidermy resin jaws (see picture below), eyes of different shapes and sizes, protuberances and bulges. ♘ The army is made up of a hundred of soldiers with size from 20 cm to 60 cm. ⚔ A la créaton d'une gigantesque installation! Un chaleureux remerciement et une invitation au vernissage de l'exposition 1812-2012.